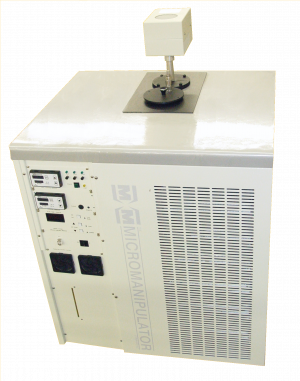 The Micromanipulator P300J 300mm probe station is the most stable, intuitive, and space efficient manual 300mm analytical probe station available today. 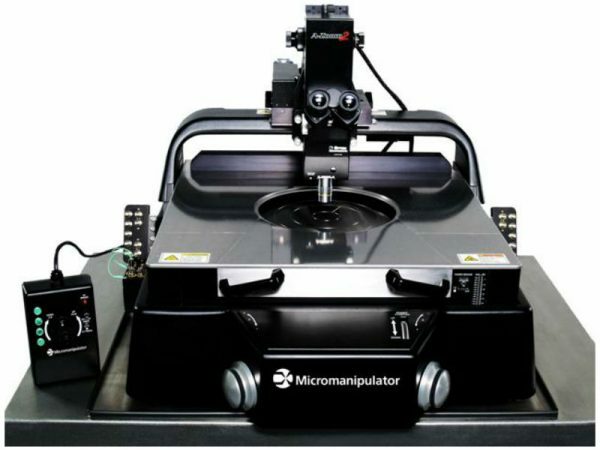 Designed for low current, sub-micron positioning applications, the P300J comes standard with features such as single-point ground, dry/dark environment, and integrated thermal chuck plumbing. 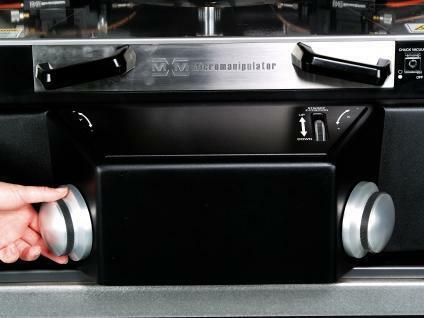 Motorized controls placed conveniently at the front of the station give a dynamic speed range which allows both precise positioning and long-distance moves. 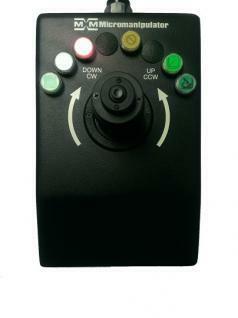 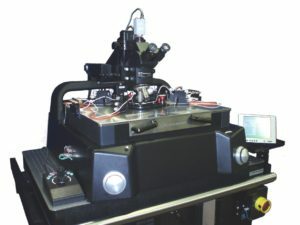 Both joystick and MicroTouchTM controls intuitively operate the station stage, platen (Z), and theta as well as the microscope X-Y and Z drives. The P300J’s large magnetic stainless steel platen has plenty of room for multiple manipulators and/or a probe card. The system supports a wide choice of options, and is even backward compatible with accessories (manipulators, probe holders, probe card holders) from our industry-standard 4000 and 8000 series (200mm) stations. 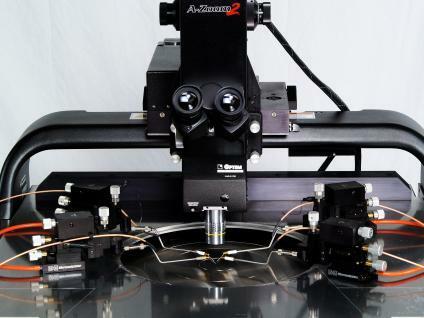 The station includes an adjustable microscope lift delay which prevents driving the probes into the microscope objective, a feature that Micromanipulator pioneered, and which is a hallmark of our professional probing systems. 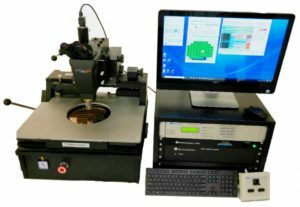 The P300J is the platform of choice for companies who need to probe whole 300mm wafers, but don’t require a semiautomatic probe station for large volume tests.